Charles Darwin, the world’s most famous biologist and researcher of exciting species had a habit of indulging in the new species he discovered. Charles Darwin is well known for his study and appreciation of the animals he discovered throughout his lifetime. But, it turns out, besides appreciating them for what they brought to the scientific table, he appreciated them for what they brought to another kind of table — the kitchen table, specifically. That’s right, the world’s most famous biologist and researcher of new and exciting species had a habit of indulging in the new species he discovered. Throughout his life and travels, he sampled the meat of dozens of different animals, including a puma, an ostrich-like bird, and even a 20-pound rodent. 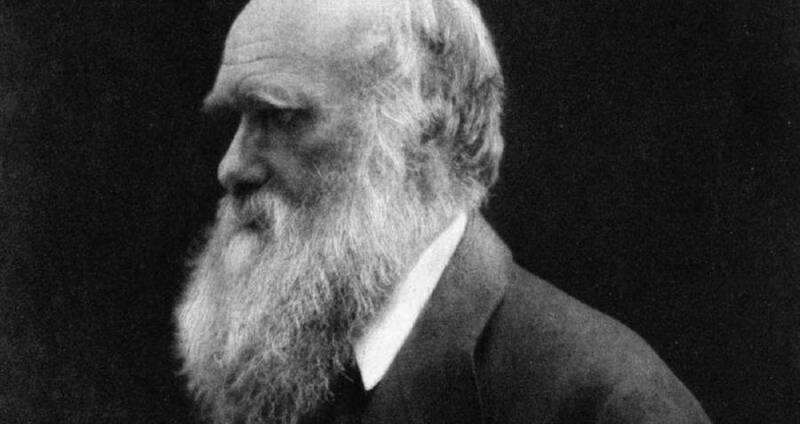 Darwin’s taste for rare animals started during his days at Cambridge University when he joined a club known as the Glutton Club. During their time together, the club sampled mostly birds, among them a hawk, a heron-like bird called a bittern, and a brown owl. The owl, however, was the club’s downfall, as they lost their gusto upon tasting its “indescribable” flesh. Apparently, it wasn’t the good kind of indescribable. 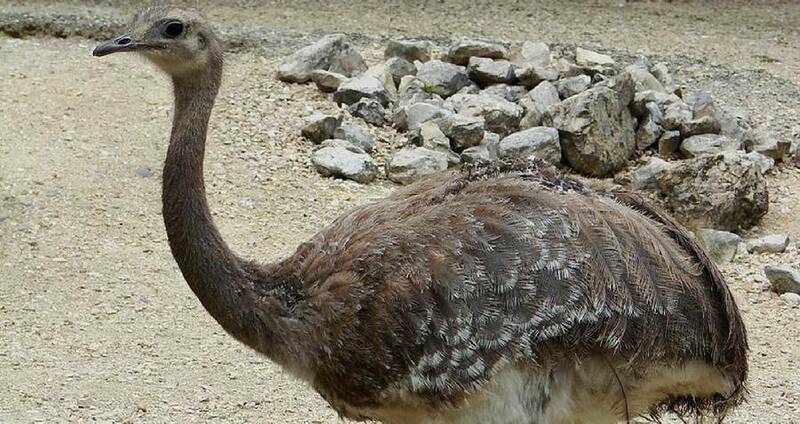 The lesser rhea, known as the Darwin rhea, which Darwin consumed in Argentina. Though his fellow Glutton Club members may have been deterred by the owl, Darwin graduated with a strong penchant for unusual food choices. Upon embarking on his tour of the world on the HMS Beagle, Darwin continued his culinary adventures. Despite his devotion to studying, classifying and cataloging the rare animals he found, he was able to bring himself to try them too, in the name of science. In Argentina, he also dined on a lesser rhea, a South American version of an ostrich, which he had spent several months attempting to catch to study it. Apparently, his team, aware of his desire to consume rare creatures, prepared the bird without informing Darwin what it was. Upon realizing that it was his yet-unclassified lesser rhea, Darwin panicked, ordered everyone to stop eating, and gathered all of the remaining bones, feathers, skin, and gizzards, immediately sending them back to England for safe keeping. 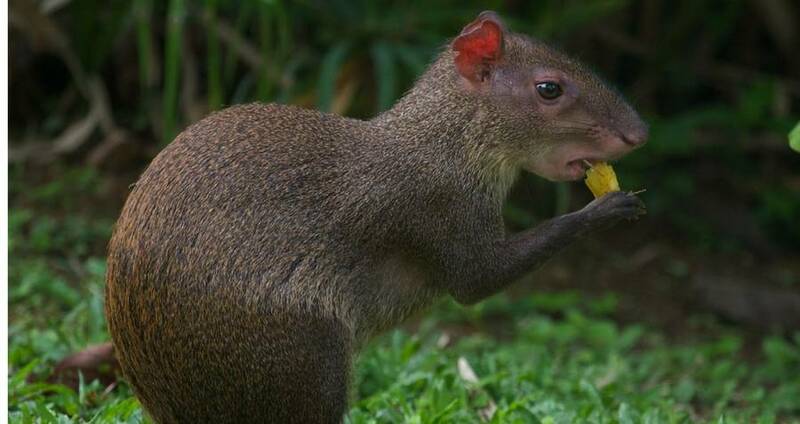 An agouti, Darwin’s favorite meal.